Mamapedia has a great deal running for children’s toys – get a Little Tikes Double Duty Engine & Workbench for $50 shipped (this is a savings of 44%)! 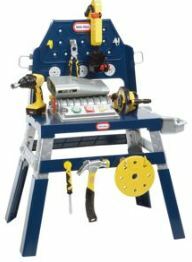 The Double Duty Engine & Workbench is a workshop for little craftsmen and a tool bench for new mechanics. Your little one is sure to love it! This is only while supplies last.